Find out more about ongoing opportunities to have a hands-on experience at CAMH. Drop-in Experiences, a guided in-gallery discussion or pop-up activity that provides a creative opportunity for you to experience the current exhibitions in a unique and meaningful way. Led by our FAQ (Frequently Asked Questions) Team, a group of artists and historians who assist with contextualizing CAMH’s dynamic exhibitions for diverse audiences. Drop-in Experiences are available between 1-4PM every Saturday. All ages are welcome. 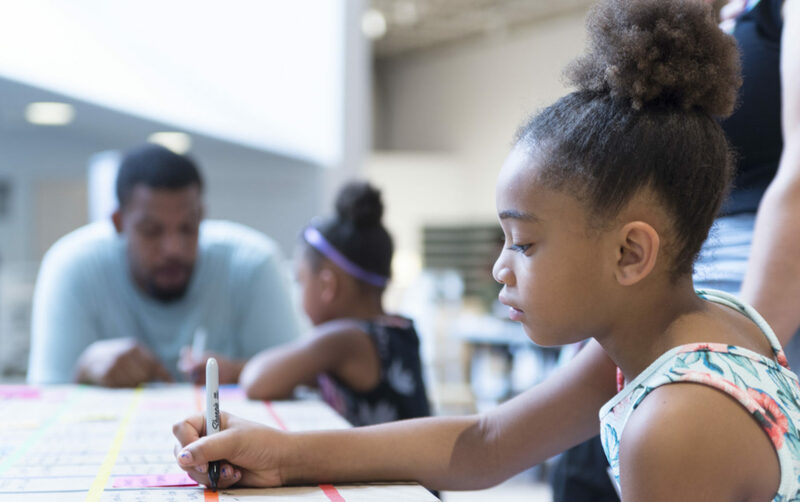 Open Studio, drop-in, hands-on activities related to current exhibitions for creatives of all-ages. 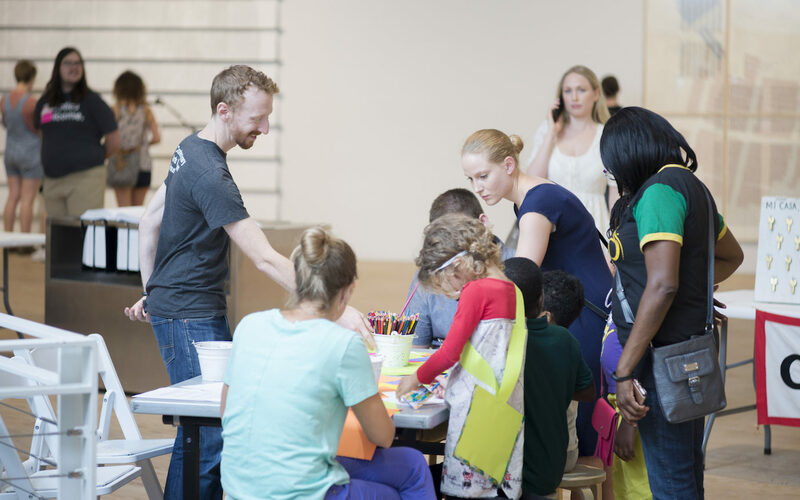 The first Saturday of every month from 2-4PM swing by the museum to make or contribute to a unique project. Check our calendar for upcoming workshops. 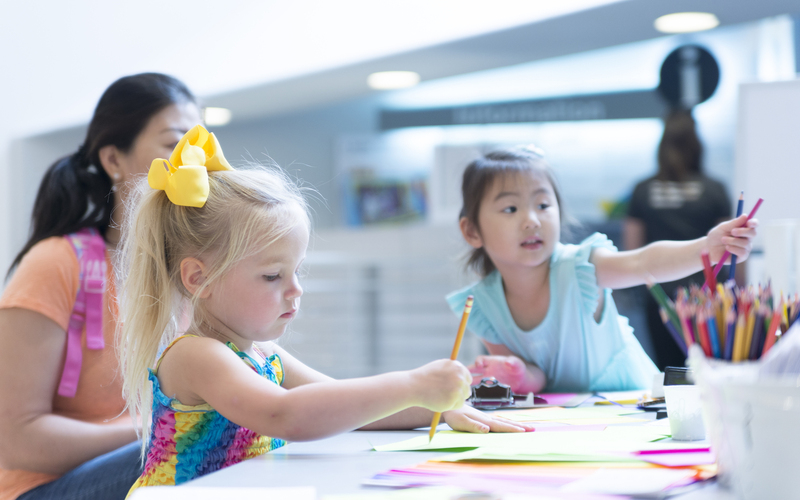 Family Days, are a time when the galleries, lawns, and education spaces are full of interactive activities, tours, and hands-on crafts related to the media and themes found in current exhibitions. Food trucks, Art Guides, and tours are also all available.